Today was my first day back at uni for a few weeks. It has been quite hot today, and gorgeously sunny. I wanted to wear something special to cheer myself up a little. The past week has been so gloomy and grim that I needed a little pep in my step. I have got two lovely new pieces of jewellery to brag about. This technically isn’t a new piece of jewellery. This locket was given to my Nana by my Pa when they first started dating. 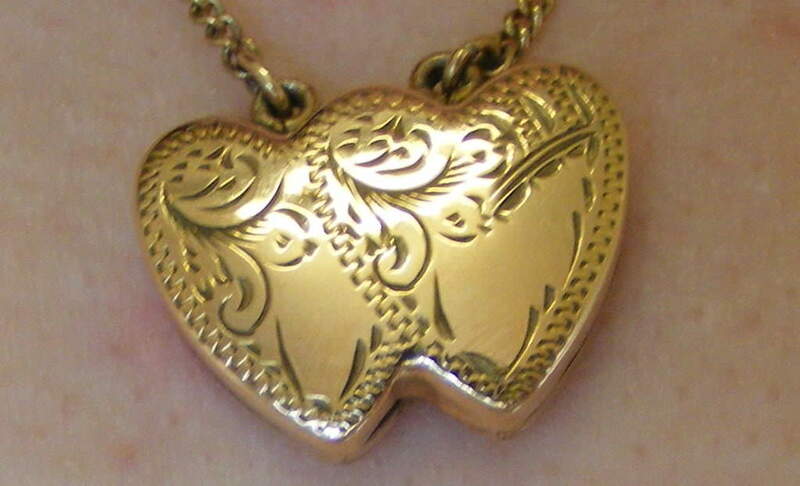 It is shaped like two hearts joined together and has a tiny picture of my Pa inside. I have actually owned this locket for a few years now, but I usually save it for special occasions. I have been wearing it a lot lately because I always feel as though Pa is close by when I have it on. 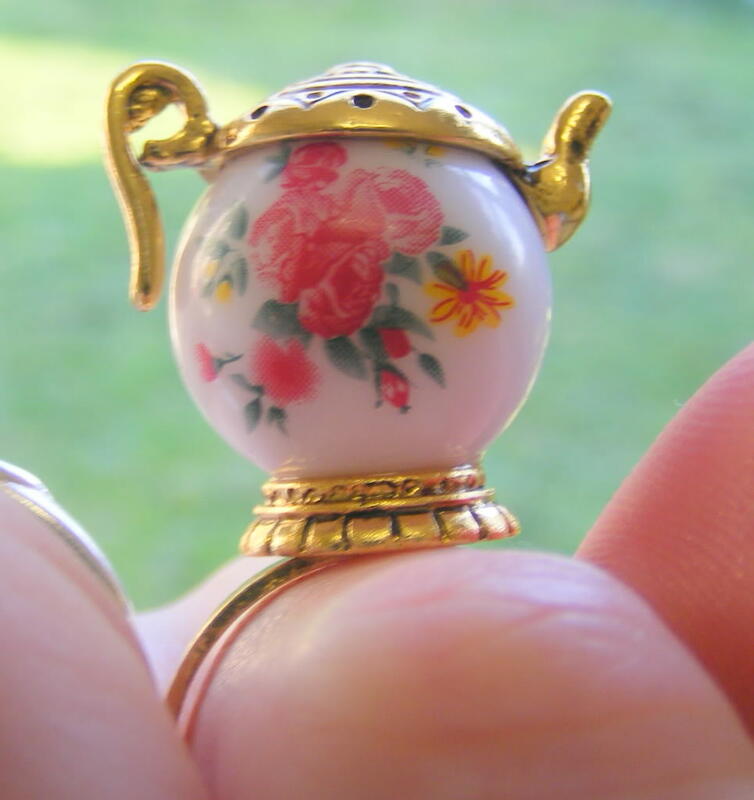 I found this adorable teapot ring at Diva yesterday. I absolutely love it. I think I will be getting a lot of wear out of it. Today I wore it on the finger next to my teacup ring, and I got so many compliments throughout the day. I hope your Monday hasn’t been too manic! Previous Daily outfit: back to the real world.